In August 1987 a dozen pastors and Christian leaders from Arizona gathered to discuss the need for a Phoenix-based seminary. There was a strong sense that God had blessed the Phoenix area with a vital, growing Christian community in need of a local seminary. In October 1987 Western Seminary in Portland, Oregon entered into a partnership with churches in Phoenix to establish a local seminary. In the fall of 1988 Western Seminary Phoenix opened its doors. The first classes were held at Scottsdale Bible Church and Grace Community Church. Sixty-eight students enrolled in the Master of Divinity and the Master of Christian Leadership programs. After several years of growing ministry, the local leadership of Western Seminary Phoenix saw the benefits of becoming a fully independent, inter-denominational seminary. In July 1994, with the approval of the board of Western Seminary, Phoenix Seminary became independent, a private not-for-profit institution. In April 2000 the Seminary moved to new premises of 10,800 square feet on Scottsdale Road where the Seminary could house the entire library, one classroom and office space for faculty, administration and staff. This space was expanded to 14,200 square feet in August 2001, providing additional library space, two more classrooms, four offices and a small student lounge. 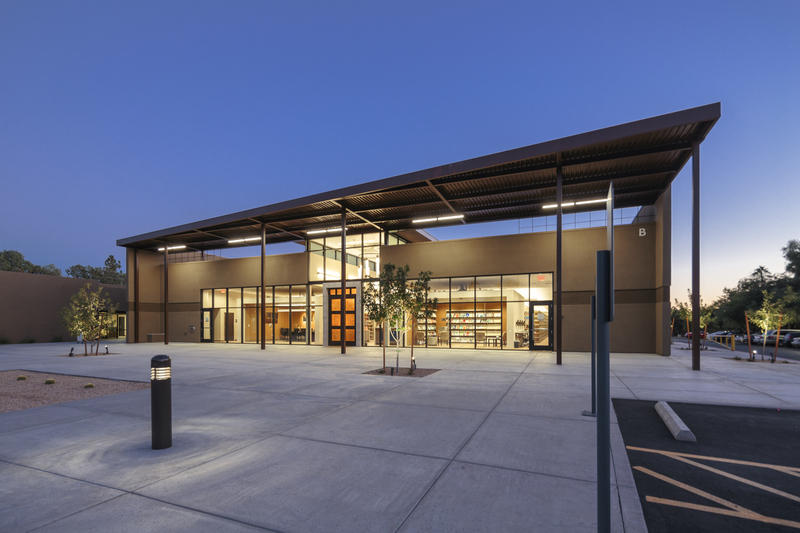 In the fall of 2005, we moved our campus to a state-of-the-art building on Thomas Road in the heart of Phoenix. This campus provided a superior learning environment, expanded library facilities, increased classroom space, and better opportunities for students and faculty to interact and share in ministry. In the summer of 2017, the Seminary moved its campus to a 4.6-acre site on Shea Boulevard in Scottsdale. The facility includes a chapel, multiple classrooms, and administrative staff offices. The center of the campus is the Biblical Research Center, which houses faculty offices and the Seminary library. As the school's permanent home, the campus represents the vision of President DelHousaye as well as the generosity and prayers of hundreds of faithful donors. In the years since it was founded, Phoenix Seminary has enjoyed God’s blessing and has seen expansion of its influence and partnership with churches in Arizona. The Biblical Research Center sits at the heart of our new campus.